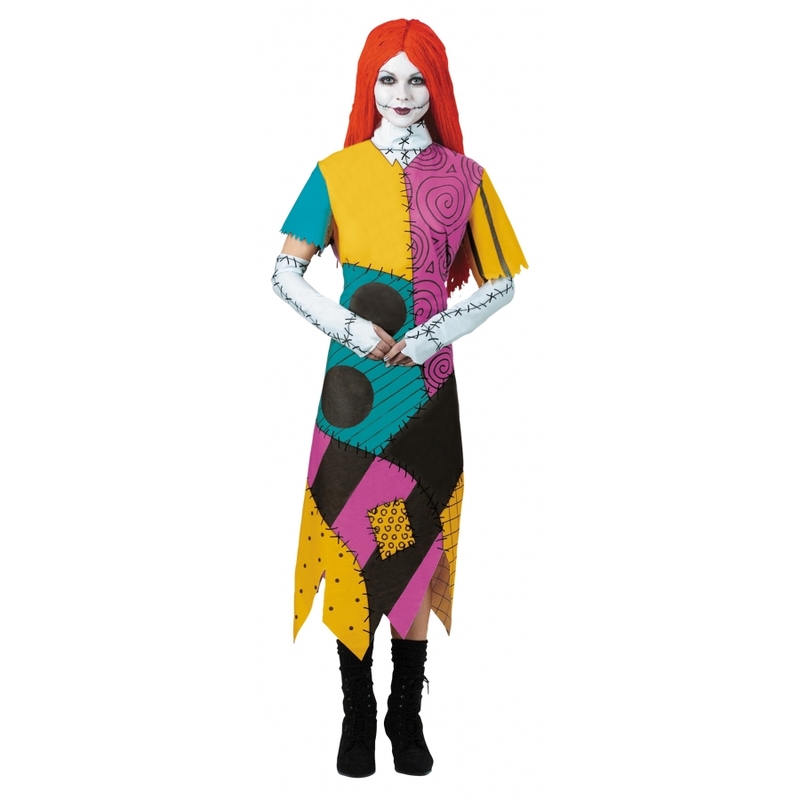 Patchwork print dress, glovettes and wig. Makeup, shoes and socks not included. Womens size 7-9.